Lunchtime workouts to Keep Active! Change into comfortable shoes and hit the pavement! Begin with a slow walking pace to warm-up and work your way up to a brisk stride. Pick a new route each day, we have some wonderful parks to explore. You’ll get outside and away from the office, be able to explore the neighbourhood, fit in some exercise AND you’ll return clear-headed and feeling happier. Now that’s productive! Ready to take it up a notch? Great! Stairways are free and you’ll find them almost everywhere. Challenge your legs, glutes and core to work hard while bumping up your heart rate. Warm up by walking up and down a flight of stairs 3-4 times at a slow, easy pace. 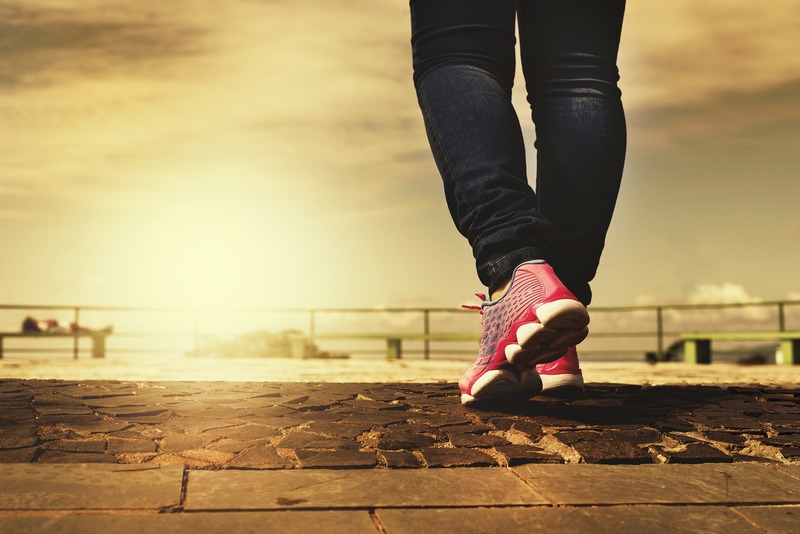 When you’re ready to step it up, increase your speed to a fast walk. Start small and see how many flights of stairs you can fit into your lunch break. See if you can beat it tomorrow! And if your office building has a lift, start taking the stairs instead. Does massage therapy help for stroke rehabilitation? Myotherapy is a form of physical therapy used to treat or prevent soft tissue pain and restricted joint movement caused by muscle or myofascia dysfunction. Myofascia are the thin, fibrous sheets of tissue that surround and separate muscles. Ligaments and tendons are comprised of bundled myofascia. Myotherapy is founded on Western medical principles including anatomy, physiology and biomechanics. You don’t need a referral from a doctor to make an appointment to see a Myotherapist.